Our Tequipment Carrera S Power Kit for the 911 Carrera boosts power from 400 hp to 430 hp. – Stopwatch mounted in the top center of the dashboard. Optional with this kit: the Sport Exhaust Package (enhances exhaust notes). 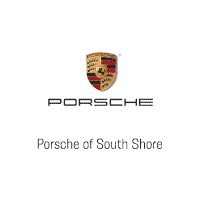 Visit your Porsche of South Shore dealer today to see one of our Porsche Parts professional for pricing and availability. Our Porsche Classic Radio-Navigation System combines Bluetooth® (hands-free phone functionality), two USB ports, touch-screen navigation system, and improved radio reception in a state-of-the-art Porsche radio-nav unit that is also SiriusXM® -ready (Sirius hardware purchased separately). The unit installs with ease into the 1-DIN dashboard fascia slot in Porsche Classic vehicle dashboards. The Porsche Classic Radio-Navigation System is currently on sale at your Porsche of South Shore dealer.